Amid a backdrop of gradual economic recovery from the financial crisis, the U.S. Department of Justice (DoJ) revealed that the finance services arm of one of America’s leading companies is under close scrutiny for loans originated a decade ago. Court records showed that WMC Mortgage Corp., the financial services venture of General Electric, has received subpoenas to forward their records of subprime mortgages. This is in line with the Department’s probing of the company’s sales or purchases of residential mortgage loans originated from Jan. 1, 2005 to Dec. 31, 2007. 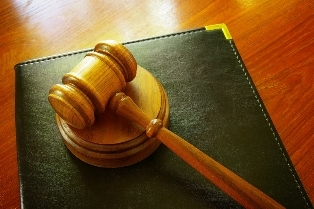 As reported by HousingWire, the DoJ confirmed that WMC is facing 14 lawsuits involving mortgage loan repurchase claims in multiple locations, including courts in Connecticut, Minnesota, and New York. Together, these suits assert claims on nearly $10.5 billion in mortgage loans, and are seeking to recover over $2 billion in damages and losses. The mortgage loans in the complaints are included in WMC’s reported claims as of December 31 last year. In 2015, GE downsized and sold its finance and lending ventures, choosing to concentrate on its industrial projects. “We will cooperate with the Justice Department's investigation, which is at an early stage,” GE officials stated on Friday (February 26), as quoted by Reuters.